SS4. 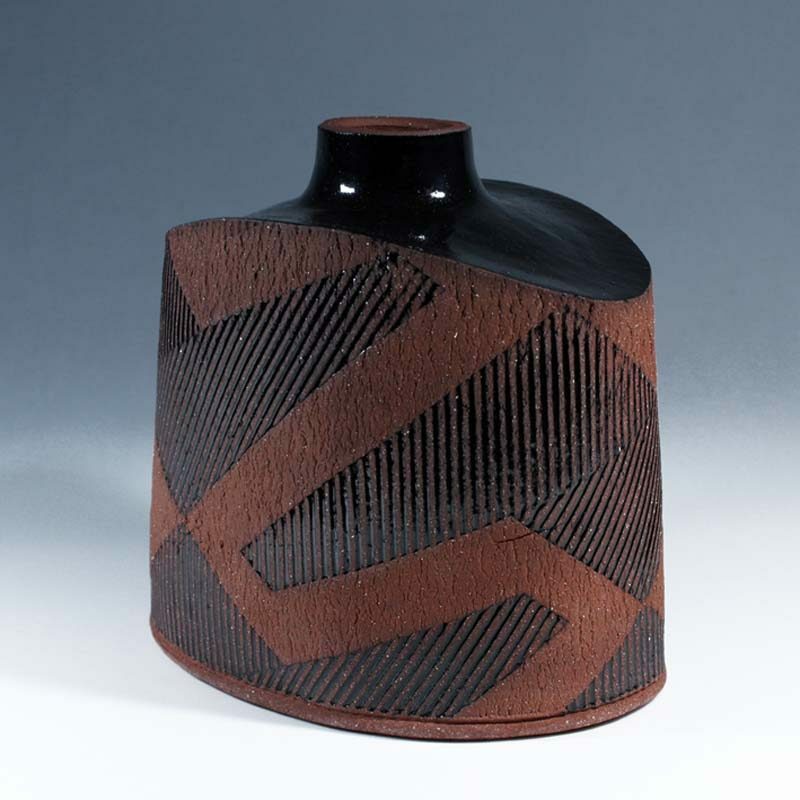 Squat Vase, Red and Black Stoneware h17 x 17 cm. SS21. 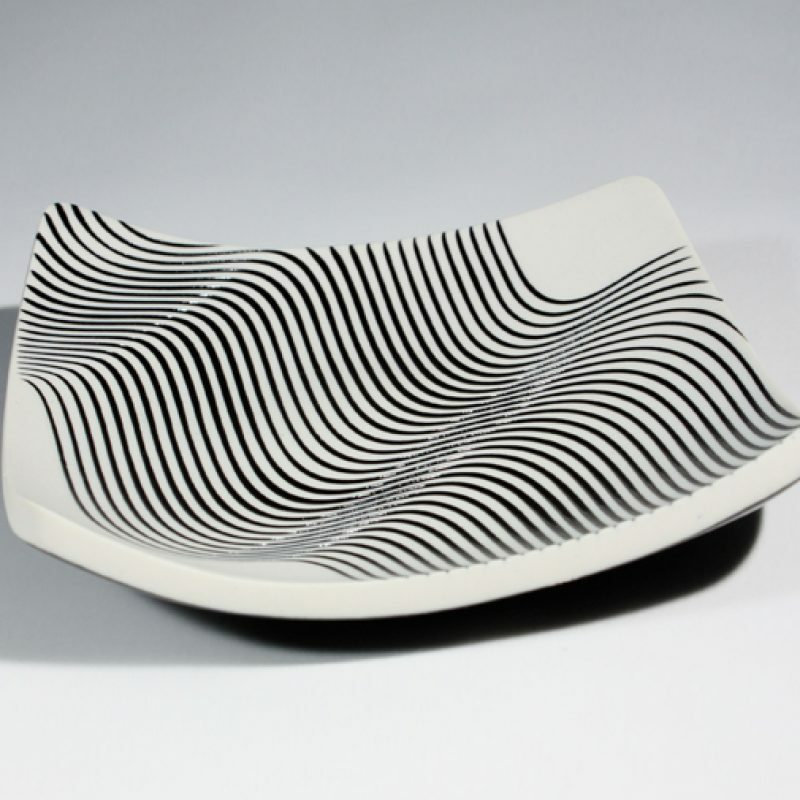 Square Slab Dish with Black Glaze Wave Pattern, Porcelain 15 x 15 cm. SS3. Squat Vase, Red and Black Stoneware h18 x 14 cm. SS22+SS23. 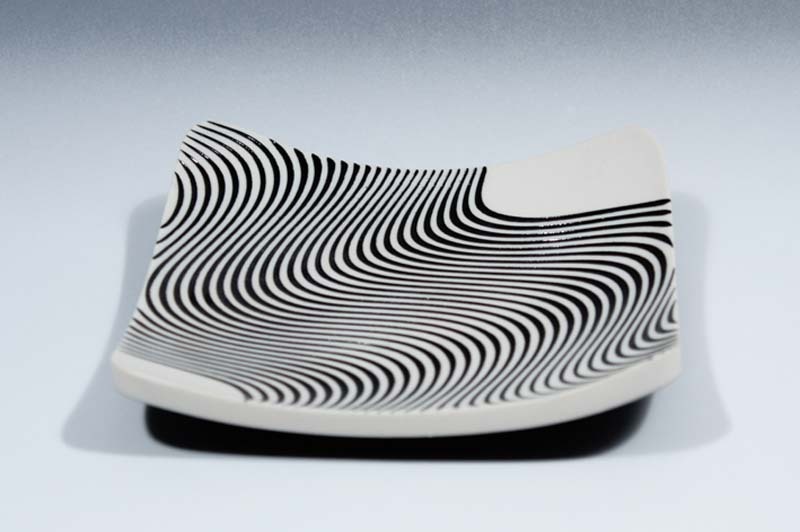 Porcelain Square Wave Dishes d17 x 17 cm. SS13. 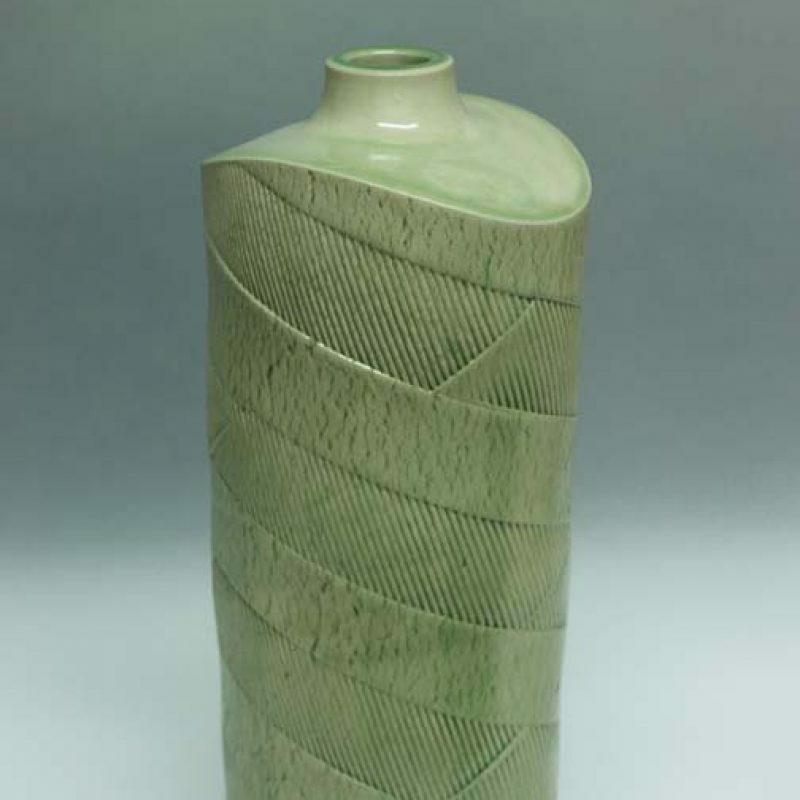 Flask with Green Glaze, Stoneware h15 x 8 cm. SS24+SS25. 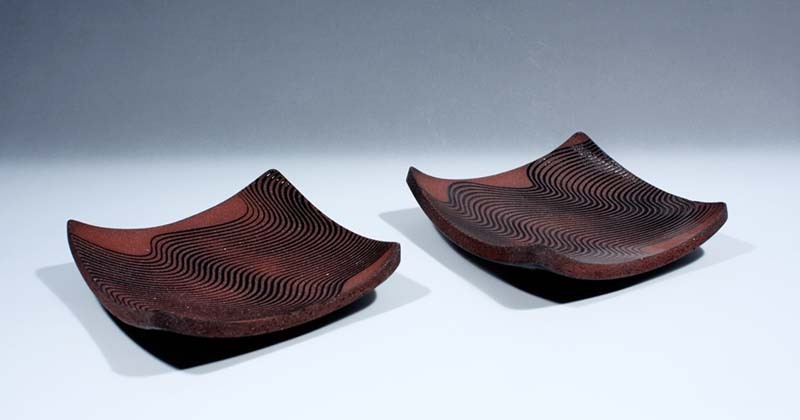 Square Red and Black Stoneware Wave Dishes d18.5 x 18.5 cm. SS18. 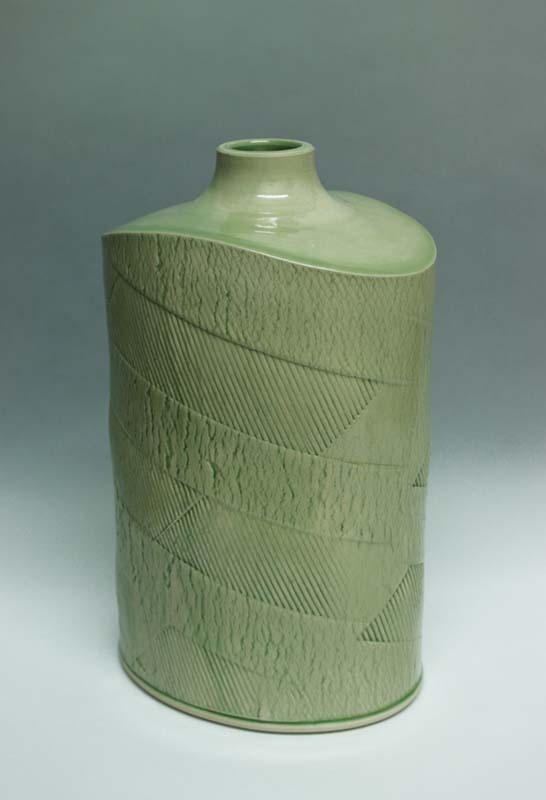 Pale Green Vase, Stoneware h19 x 11 cm. SS21. 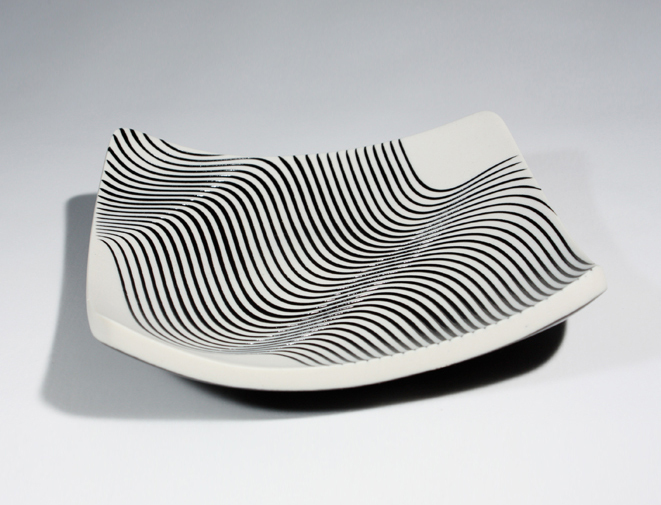 Porcelain Square Wave Dish d15 x 15 cm. SS16+SS15. 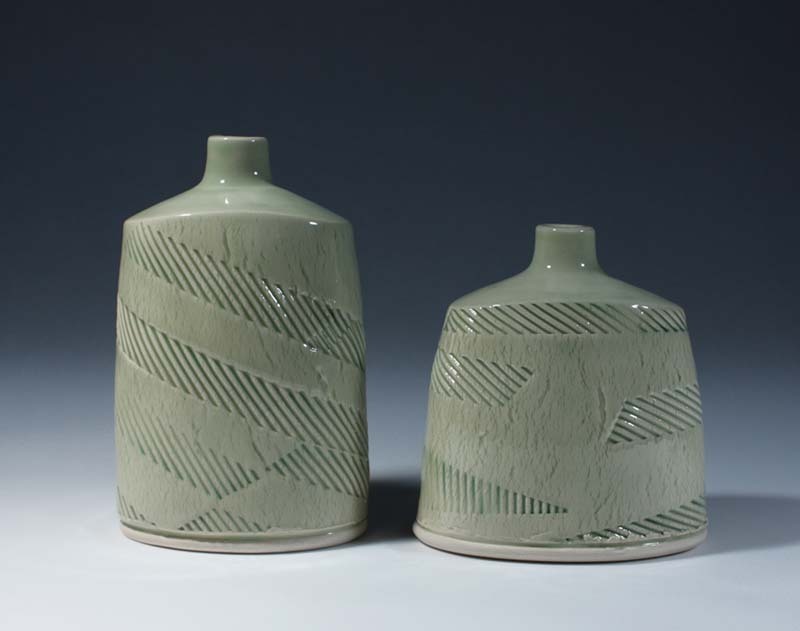 Pale Green Vases, Stoneware (from left) h14 x 9 cm. 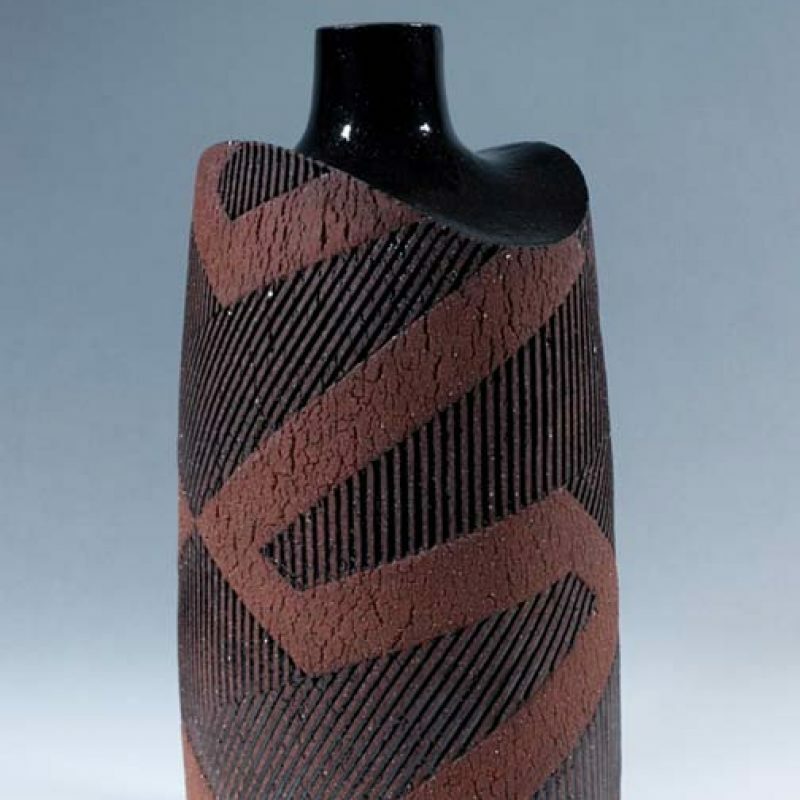 h11-5 x 10 cm. SS6. 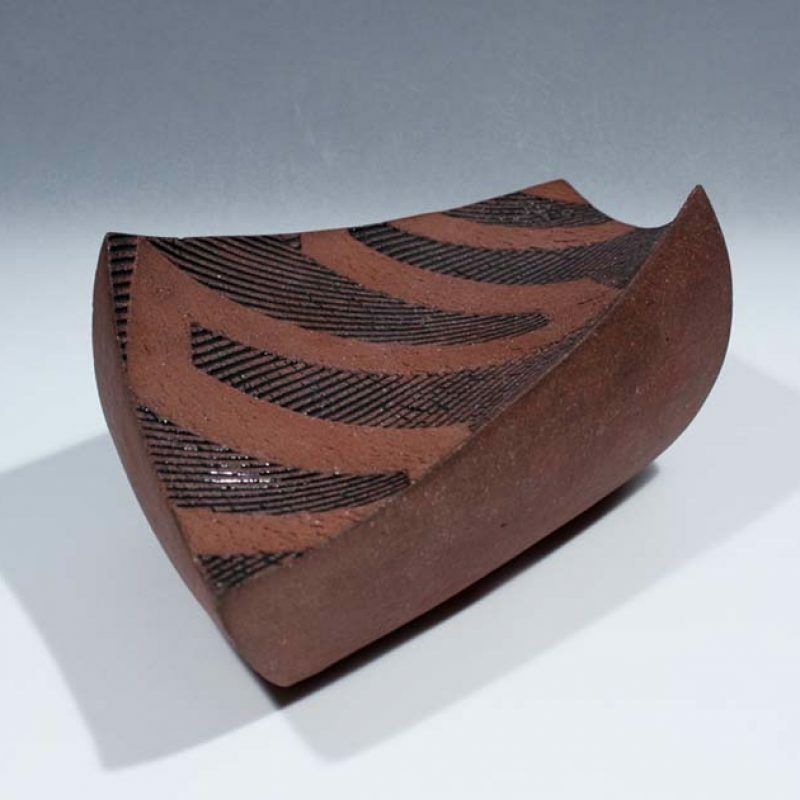 Twisting Dish, Red and Black Stoneware h8 x 27 cm. 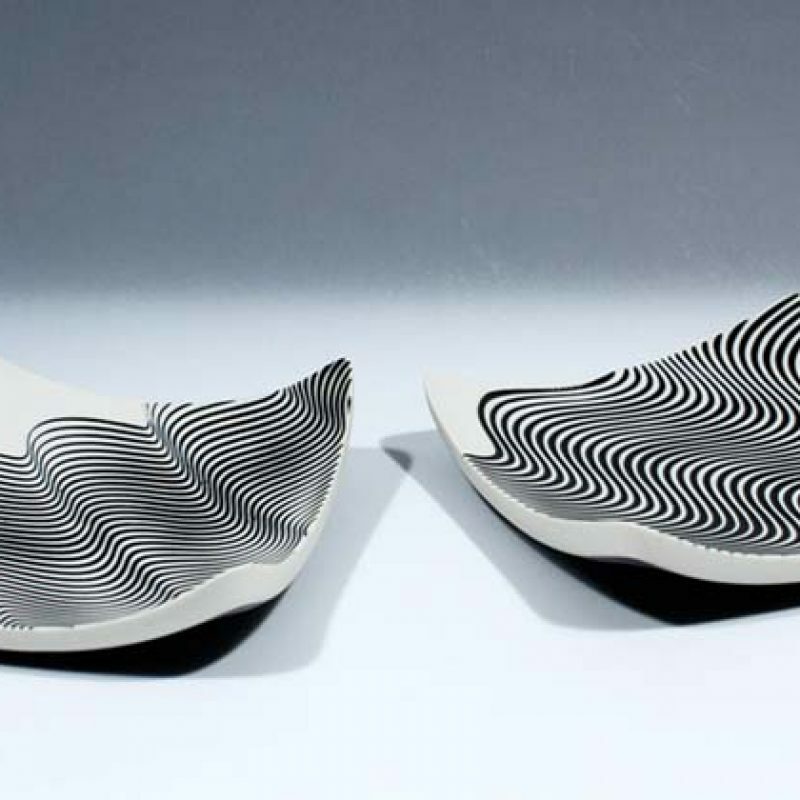 SS19. 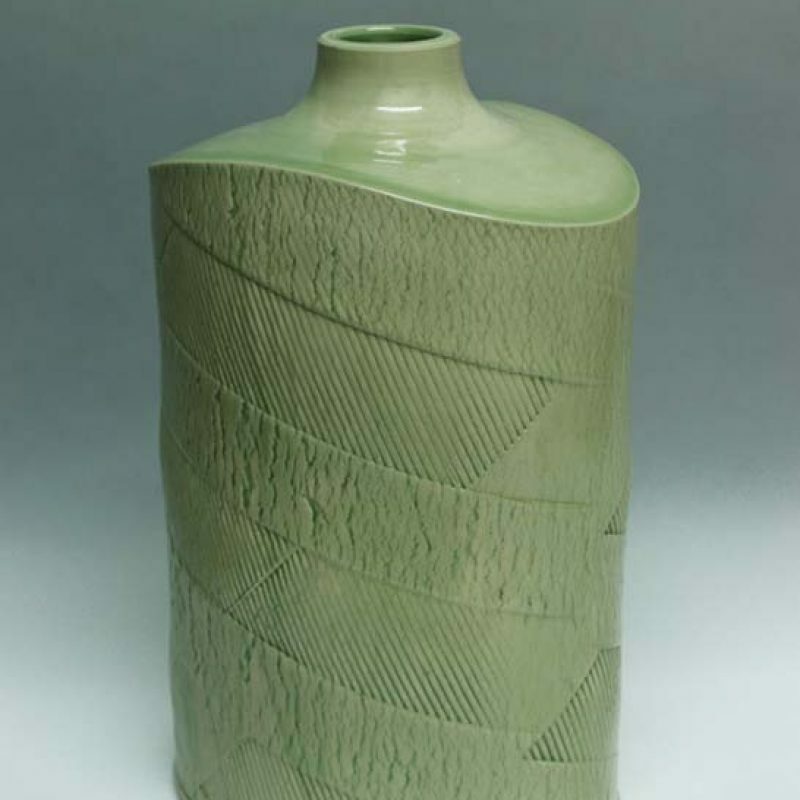 Large Vase, Stoneware with green glaze h25 x 16 cm. SS5. 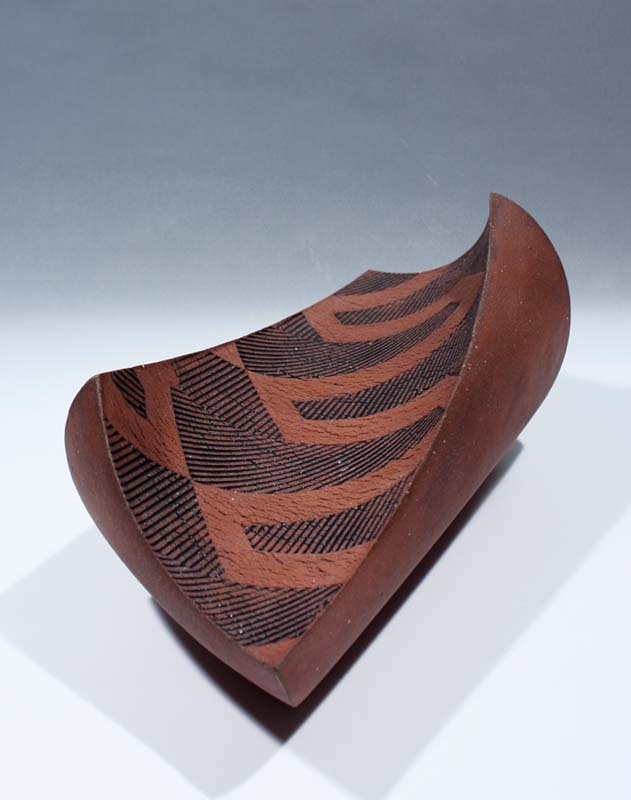 Twisting Dish, Red and Black Stoneware 13.5 x 30.5 cm. SS9+SS10. 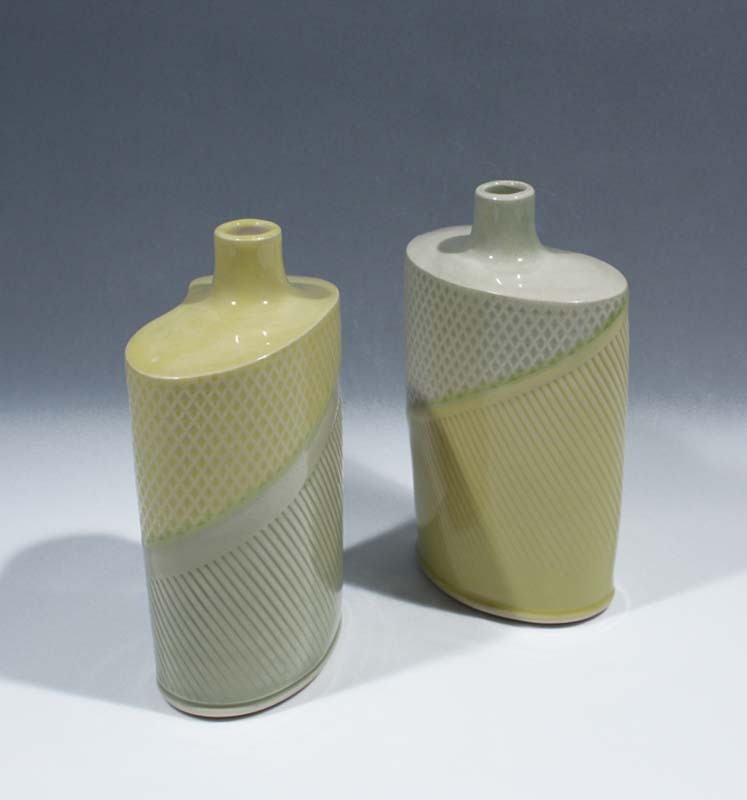 Yellow and Green Flasks, Stoneware (from left) h14 x 8.5 cm. h15 x 8.5 cm. SS2. 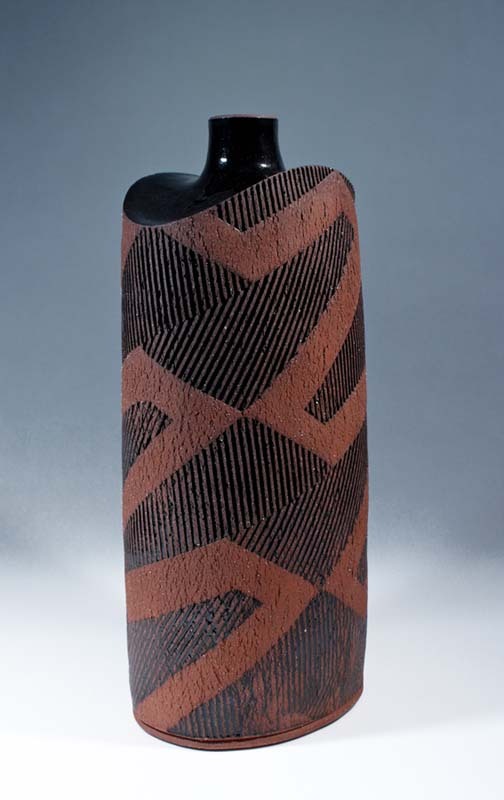 Tall Vase, Red and Black Stoneware h25 x 14 cm. SS11+SS12. 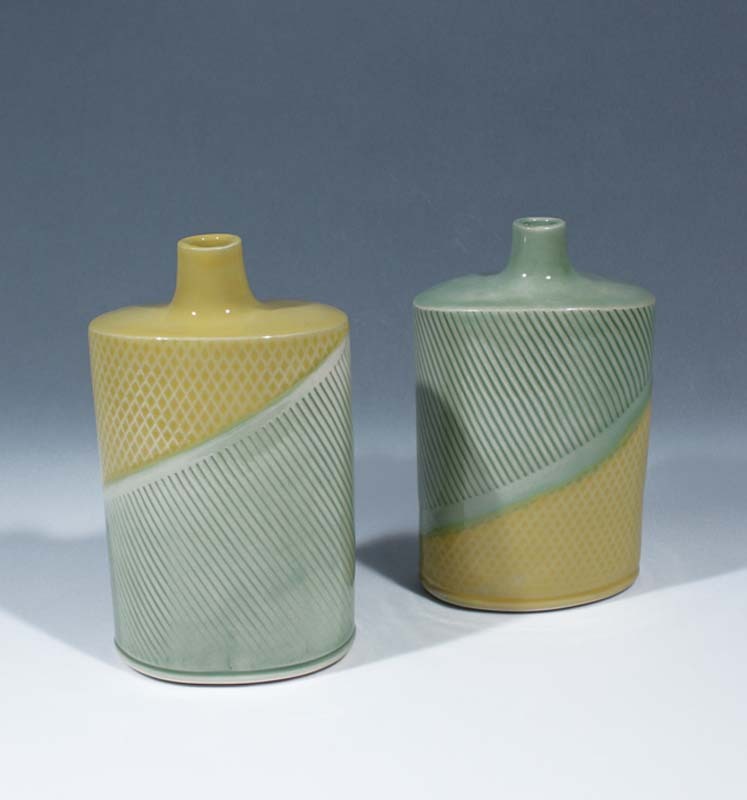 Squat Flasks Yellow and Green, Stoneware (from left) h12 x 8 cm. h12 x 8.5 cm. SS17+SS14. 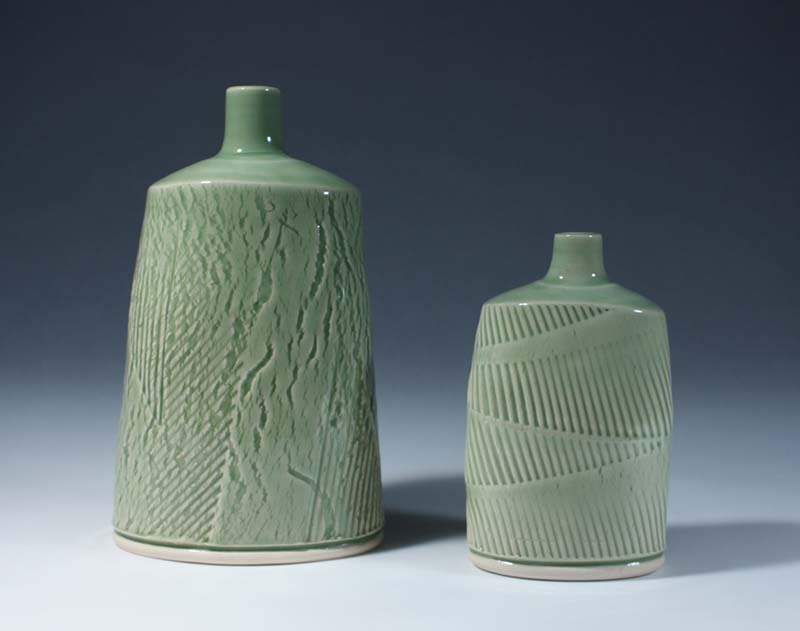 Green Vases, Stoneware (form left) h17 x 10.5 cm. h12 x 7.5 cm. SS20. 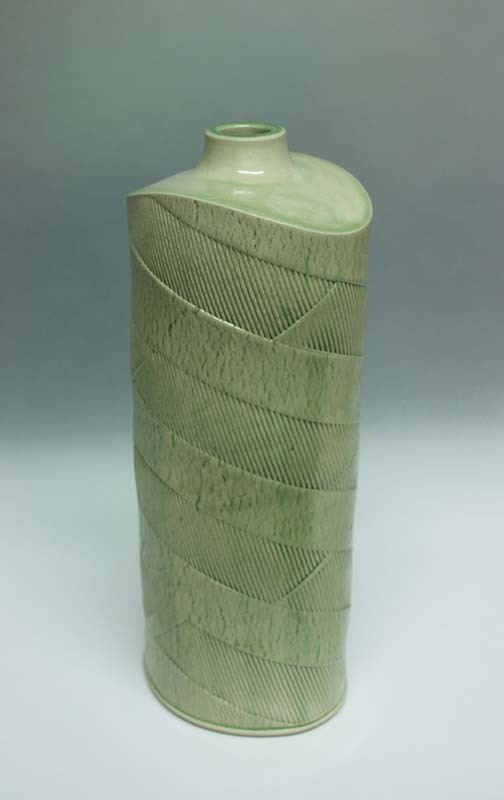 Tall Vase, Stoneware with green glaze h33 x 14 cm. SS7+SS8. Yellow and Green Flasks, Stoneware (from left) h15 x 8.5 cm. h15 x 8.5 cm. SS1. 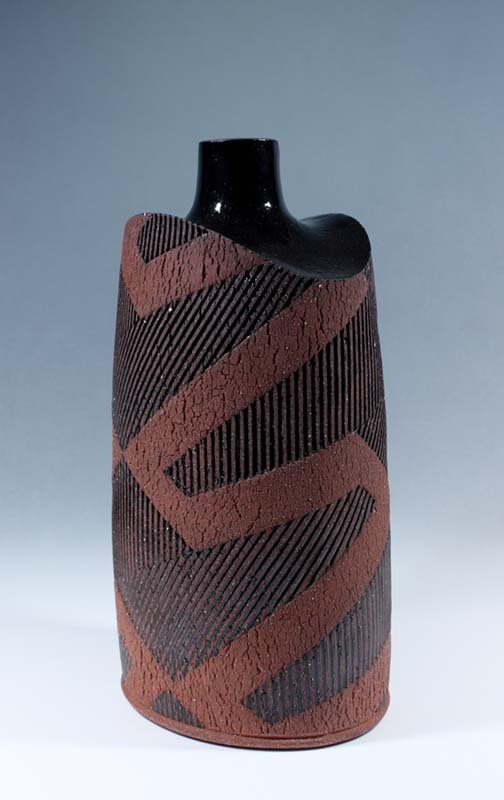 Tall Vase, Red and Black Stoneware h30 x 14 cm. 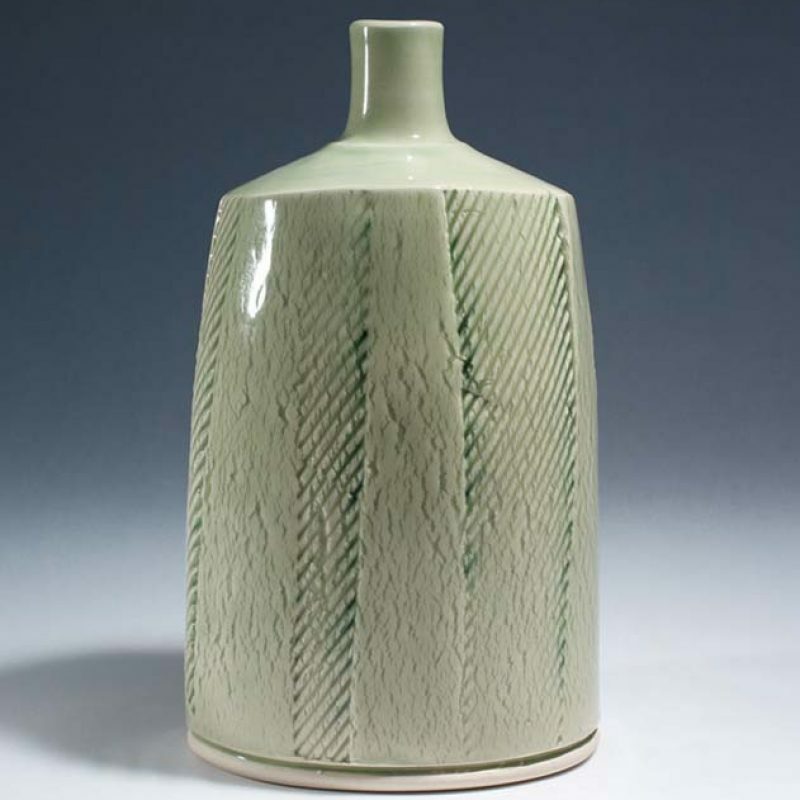 I discovered ceramics as a teenager with the well-respected potter Geoffrey Whiting, who introduced me to the potter’s wheel, the ideas of Bernard Leach – and most important of all – Sung ceramics. 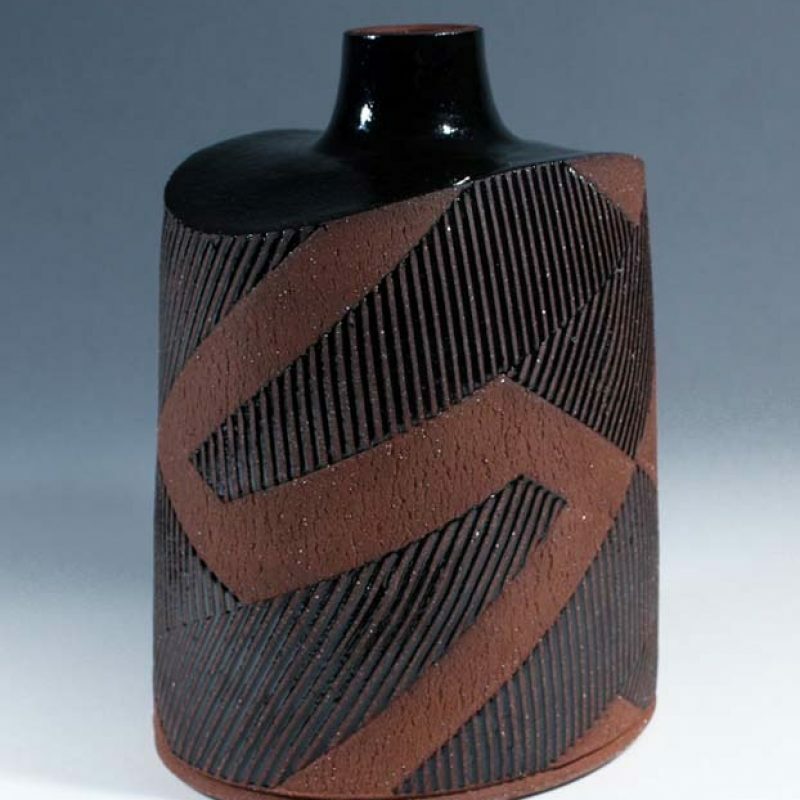 His guidance and personality encouraged further studies at the Camberwell College of Arts in London, during a particularly fruitful period in the college’s history (1987-1991). 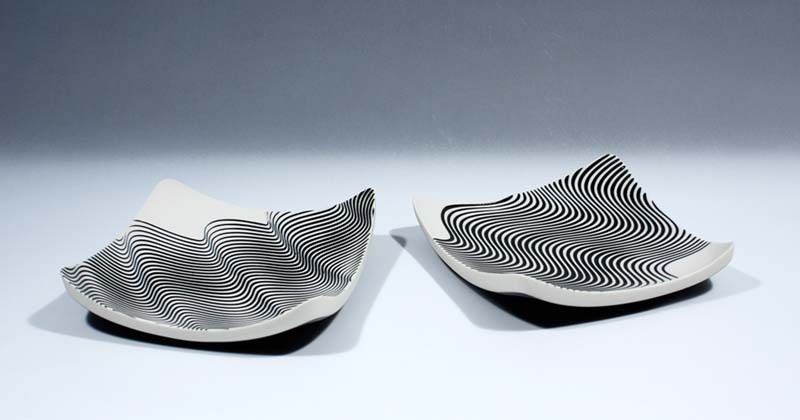 At Camberwell, my ceramic horizons were broadened through contact with Peter Simpson, Colin Pearson, Ewen Henderson, Stephen Parry and Takeshi Yasuda – whose approach to working with clay proved especially liberating. 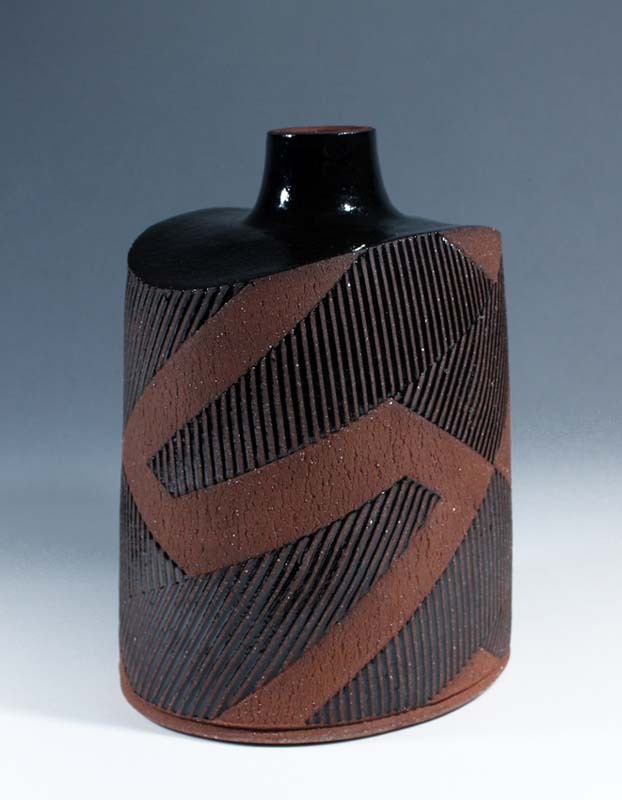 After college, I set up a small studio in Wandsworth, and worked with the potter Diana Peyton. 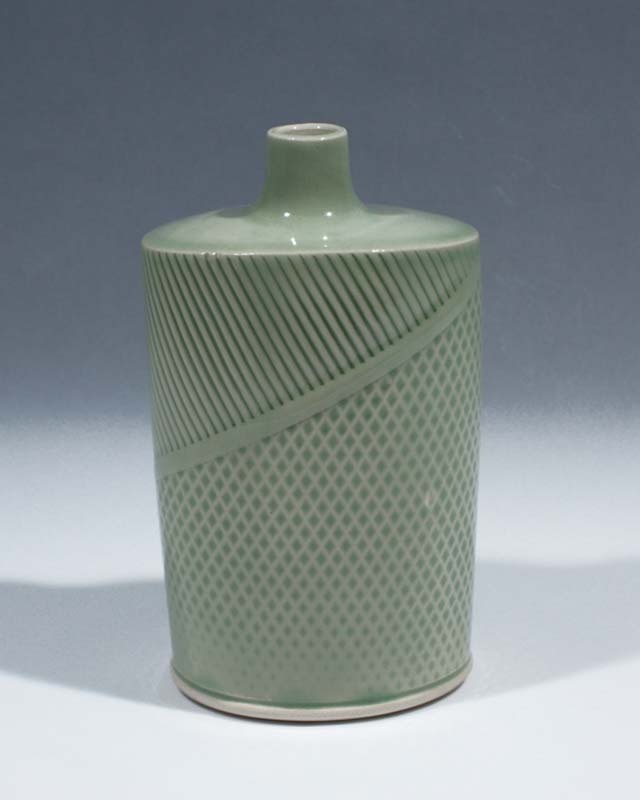 I later undertook an apprenticeship with Kevin Millward at the Gladstone Pottery Museum in Stoke-on-Trent (1993). 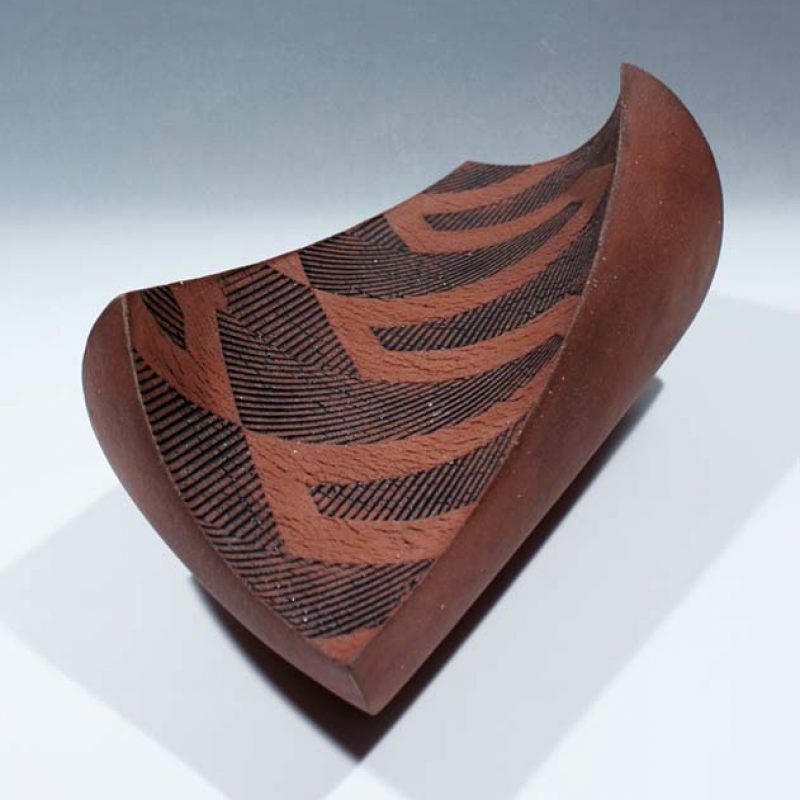 In addition to honing my skills as a thrower, Kevin gave me invaluable workshop experience. This encouraged me to establish a studio in 1997 from home in Camberwell. 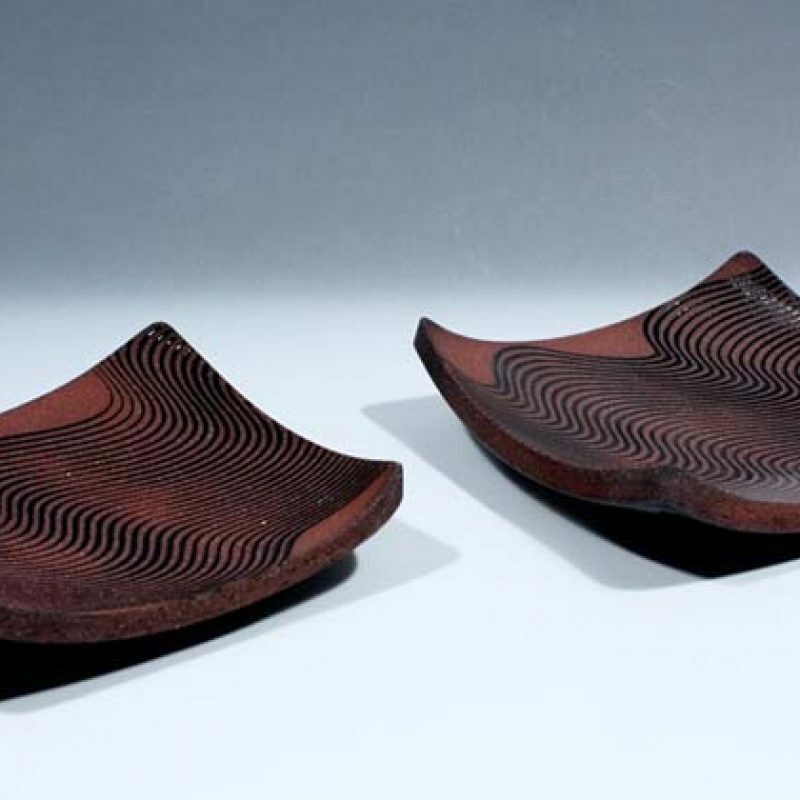 In 2009 I became a member of Contemporary Applied Arts. 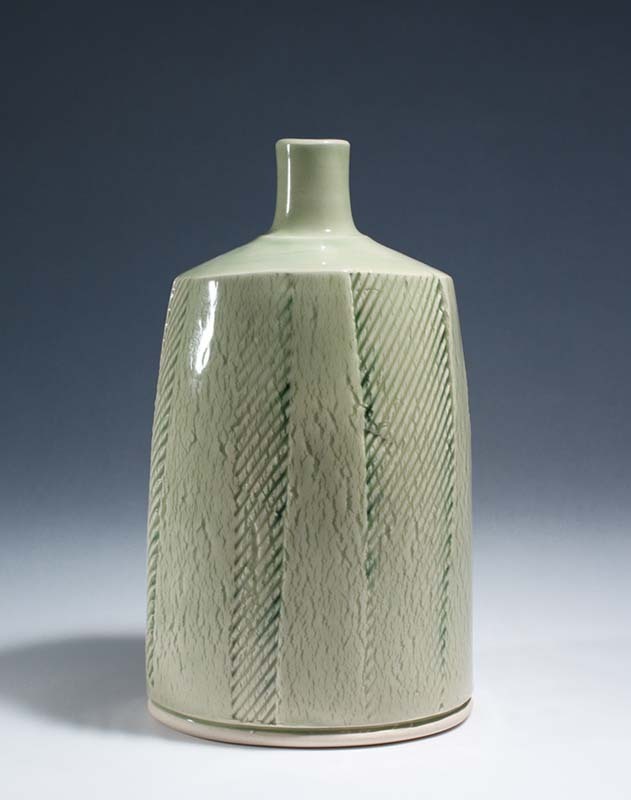 In 2010 I was elected as a professional member of the Crafts Potters Association. 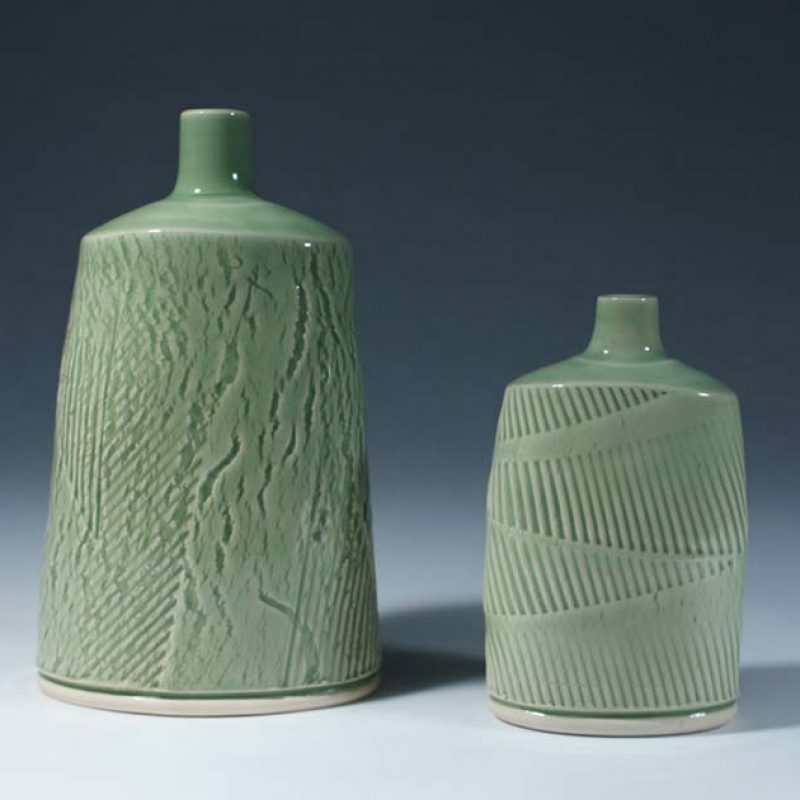 The stoneware traditions of China and Japan are a constant source of inspiration. 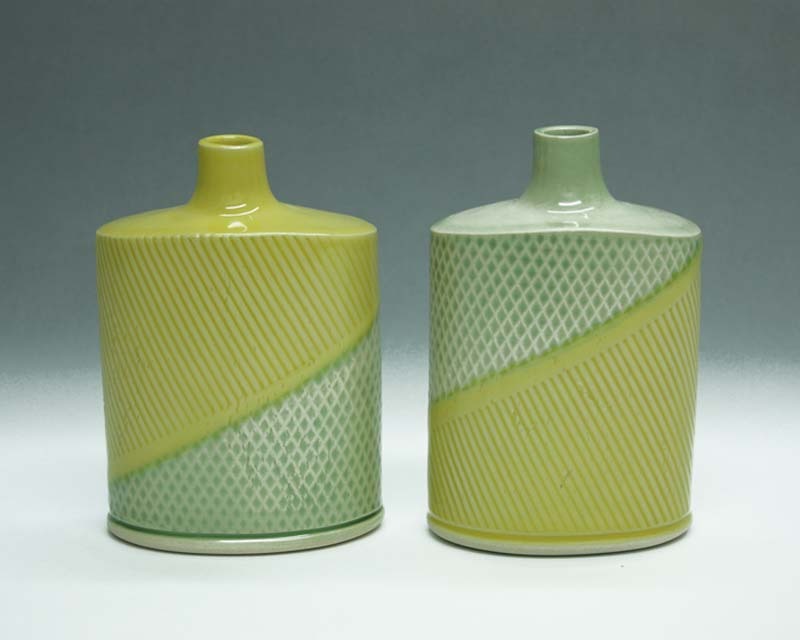 In particular, the iron-saturated and celadon glazes from the Sung Dynasty, which appeal to me for their refinement and endless subtleties of colour. 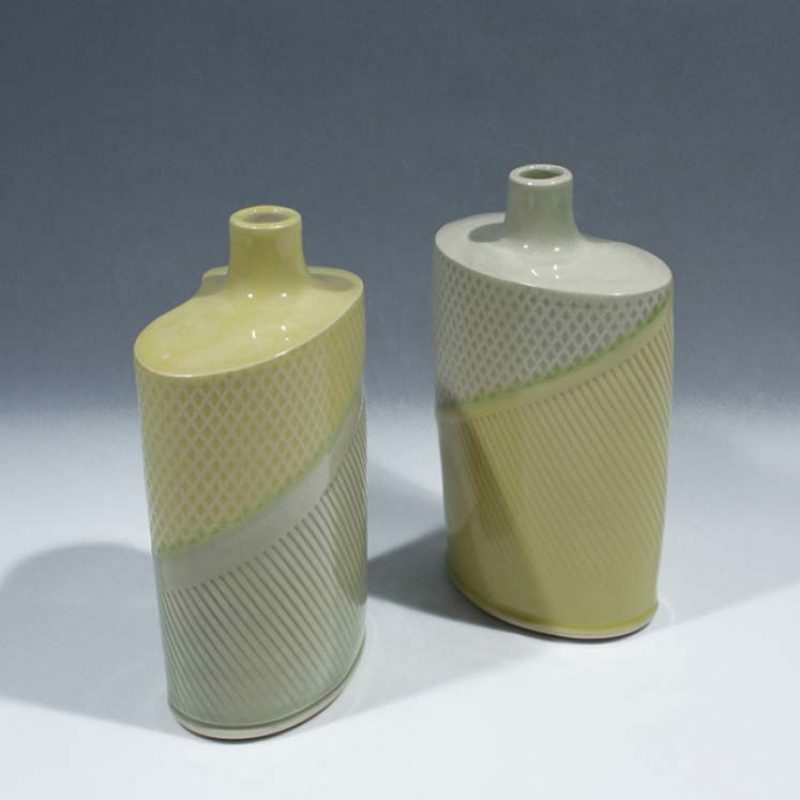 Although these glazes are steeped in history, they can be reinterpreted onto contemporary forms, making them timeless. 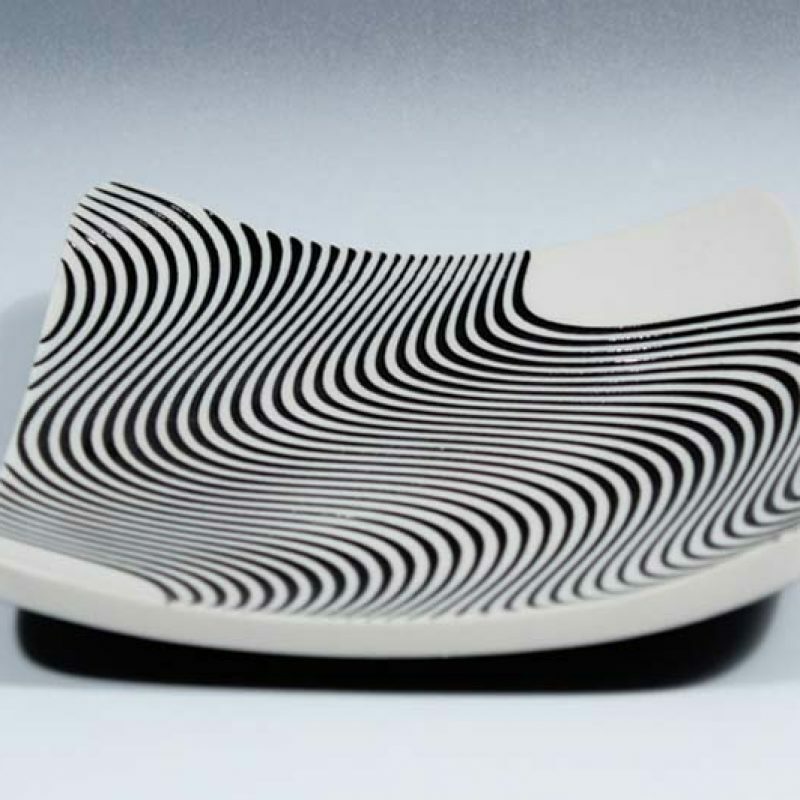 Japanese influences diversified in 1997 after visiting an exhibition of lacquer-ware from the workshop of Shibata Zeshin. 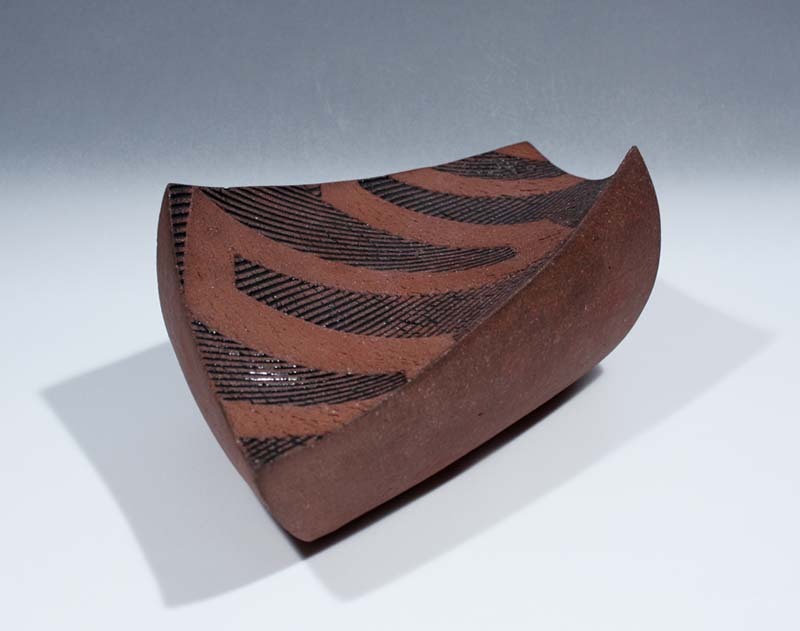 The decorative traditions of Urushi, with their striking use of colour and incomparable surface finishes continue to stimulate my work through the juxtaposition of glazes on individual pieces (two-toning). 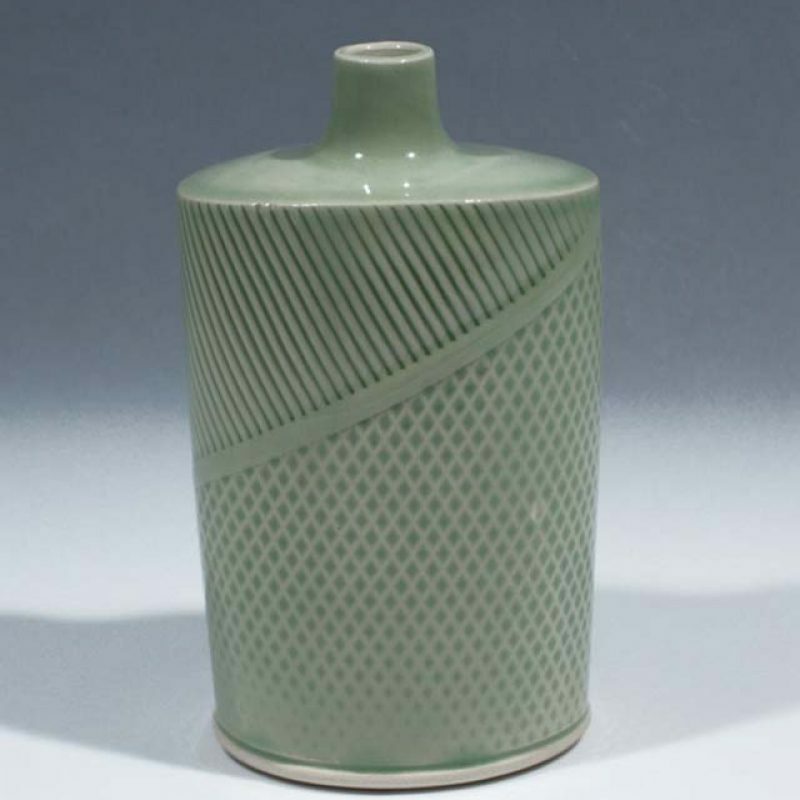 Motivations for potting are a love of fine craftsmanship. 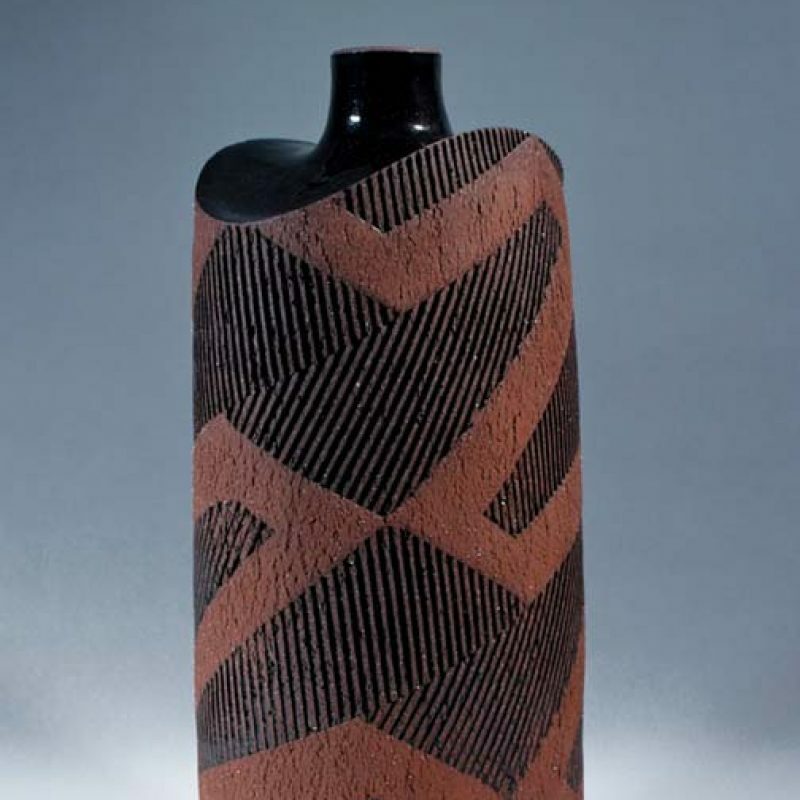 Work is represented in the public collections of the Ashmolean Museum, Oxford, the York Art Gallery (Bill Ismay Collection) and the Art Gallery of South Australia (Bill Bowmore Collection). 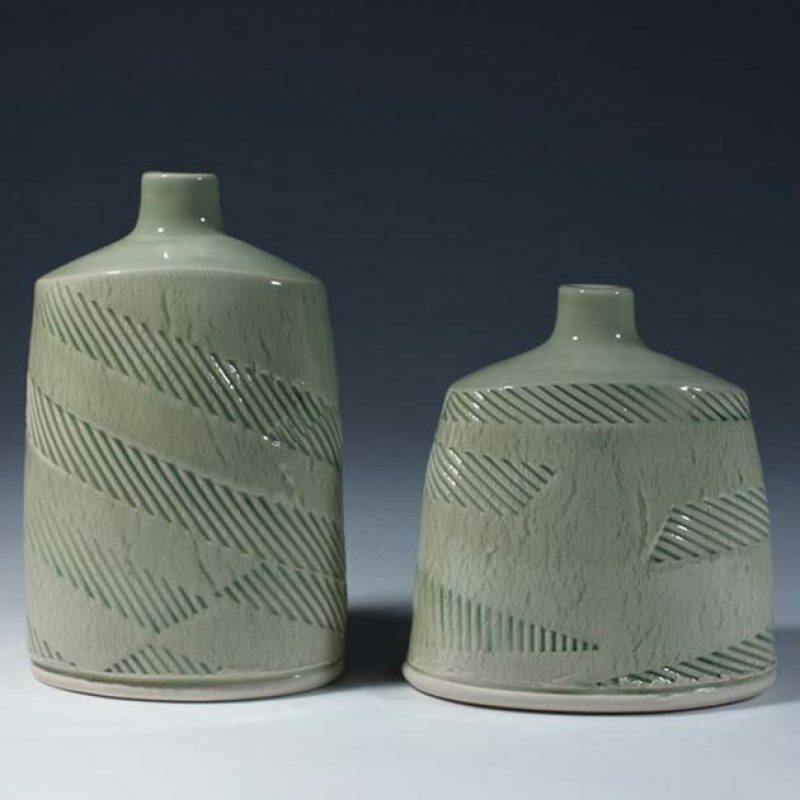 A range of hand-thrown bowls, vases and tableware is produced in two stoneware clays, with combinations of celadon and iron-saturated glazes, and fired in oxidation to 1280°C in an electric kiln. 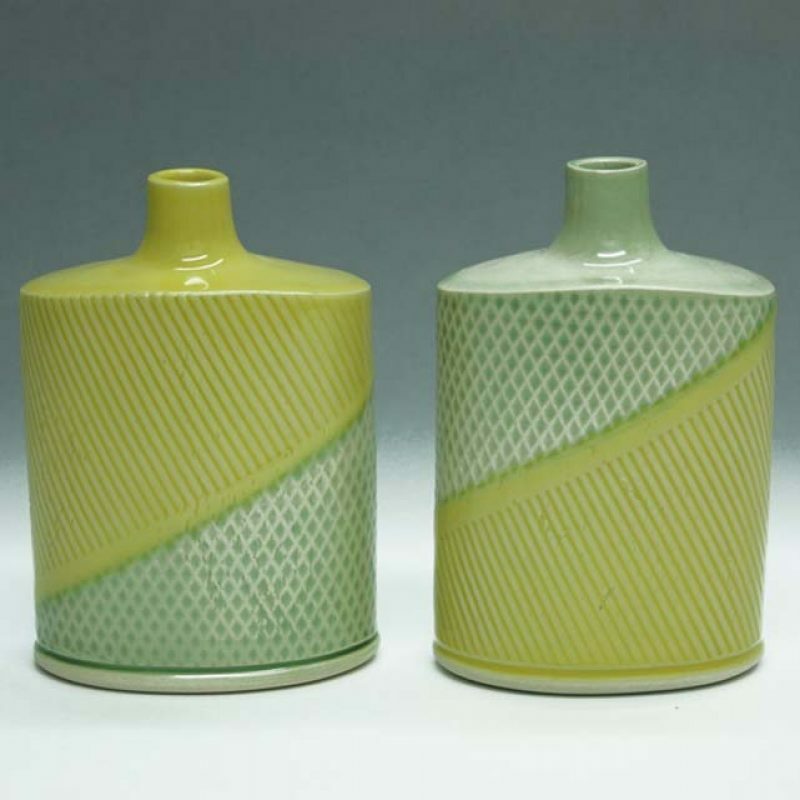 All glazes are lead-free and tableware may be placed in a dishwasher.